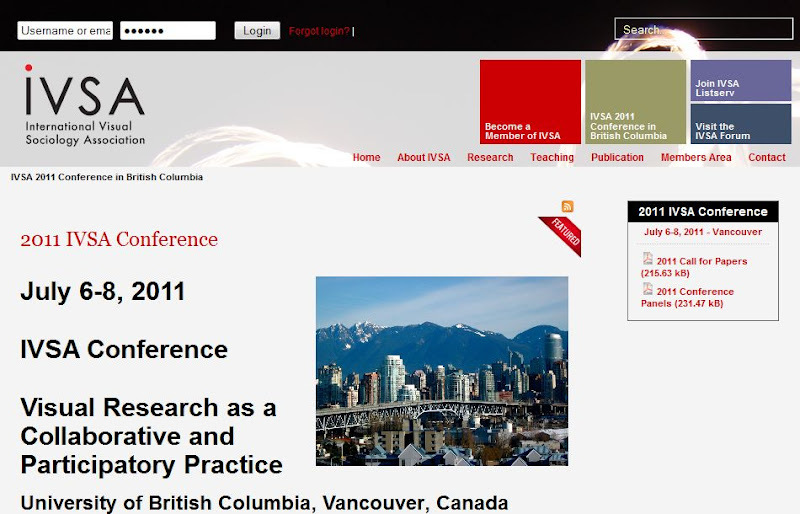 for the 2011 Conference at the University of British Columbia, Vancouver, Canada, July 6-8.
paper and poster proposals that fall outside of the 2011 theme are welcomed and will be given equal consideration. (a) Paper: A paper is an presentation lasting 20 minutes, plus 10 minutes for questions. Papers will be scheduled in 120 minute sessions which will normally include 4 papers on similar themes; in exceptional cases, 4 papers may be combined. A paper is submitted by one author plus up to three co-authors; two of the authors can be listed as presenting authors. presented in a special poster session. A poster is submitted by one author plus up to three co-authors. Presenters will be asked to be available at the poster session to answer questions from other conference ! delegates. You will be informed of the format and size of the poster when your presentation is accepted. (120 minutes) is scheduled for a workshop. element (d) above for those genres of scholarly work. heading: IVSA 2011 Research Workshop Proposal. All proposals submitted are peer-reviewed by the Proposal Review Committee.